The blockbuster video game Call of Duty: Modern Warfare 2 is about to get bigger. The blockbuster video game Call of Duty: Modern Warfare 2 is about to get bigger. Microsoft announced an an exclusive expansion pack for the Xbox 360 at CES this evening, and also confirmed that the Project Natal motion controller will be released for the 2010 holiday season–the pricing was not revealed. Update: According to Activision, the Modern Warfare 2 is a timed exclusive, available first on Xbox 360 this Spring–in other words, exclusively second on PlayStation 3. “2010 will be the biggest year in Xbox’s history,” according to Craig Beilinson, the Director of Marketing for Microsoft’s Entertainment and Devices Division. Beilinson also cited the long list of exclusives coming this year: Crackdown 2, Splinter Cell: Conviction, Mass Effect 2, Fable 3, Alan Wake, Halo: Reach, and the Modern Warfare 2 expansion. Another new development revealed during Steve Ballmer’s CES keynote is Game Room, a space on Xbox Live where players can create a virtual arcade with games from the classic days of Atari and Intellivision. 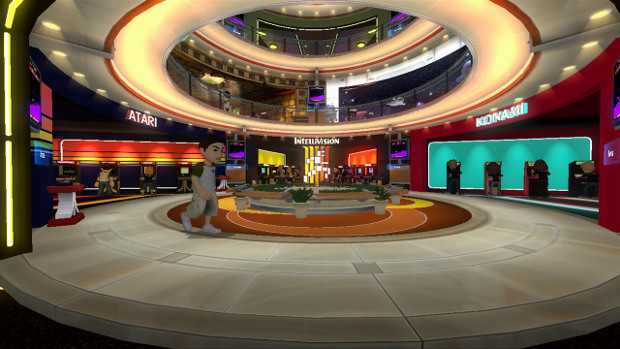 Xbox Live members can invite friends’ avatars to their Room and challenge them in said games, providing virtual gameplay similar to Sony’s PlayStation Home. Microsoft plans to release a mammoth 1,000 titles for the Game Room over the next three years. Game Room will be released this Spring. Microsoft also released unit sales figures for the console: 39 million Xbox 360s sold worldwide, with over 20 million Xbox Live members–during the week after Christmas, Xbox Live reached a record-breaking 2.2 million simultaneous users, with 1 new member joining the service each second. Since the original Xbox launched in November of 2002, 500 million games have sold, contributing to a $20 Billion Xbox ecosystem. In a well-timed bit of counter-spin, Sony released unit sales figures for the competing PlayStation 3 console just over an hour before Ballmer’s keynote. 3.8 million PS3s were sold worldwide during the five weeks of the holiday season, a 76% increase compared to the same time last year–a record for the console. Sony is also boasting 38 million registered accounts for its PlayStation Network. So who’s winning the console war? Given the number of footnote explanations in Sony’s release, and the missing details from Microsoft’s, it’s still anybody’s guess.